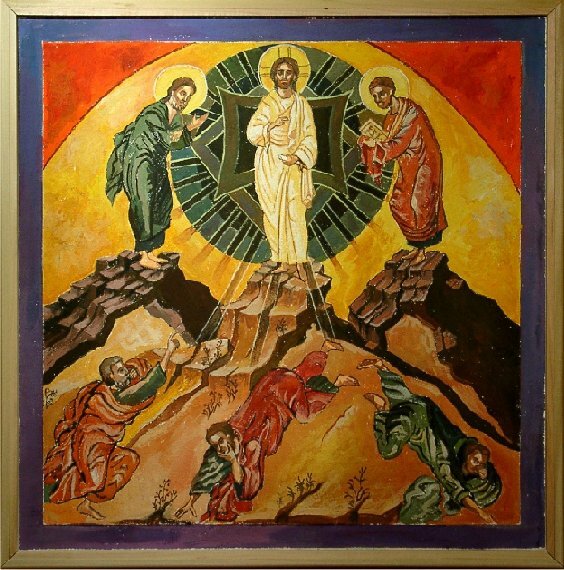 The Transfiguration of our Lord is one of the 12 Great Feasts of the Orthodox calendar. The story is fascinating, but familiar to most Christians, so I will refrain from repeating it here. I would note, however, something that has always struck me about the Gospel accounts of the Transfiguration. Much is made of the various distinctions and harmonies between the three Gospel accounts of the Transfiguration -- those of St. Matthew, St. Mark and St. Luke. What is not often mentioned is St. John, who was the only Evangelist to witness the Transfiguration, did not write about the event at all in his Gospel. Of course, as students of the Scriptures know, St. John dealt with the Transfiguration in his Revelation. St. John could easily have written about this in his Gospel account, but he chose to deal with it in Revelation. In light of the fact that St. John was the only eyewitness to write a Gospel account, I find this fascinating. Skeptics might assert that since the only eyewitness to write an account failed to mention the Transfiguration, it must be fraudulent. But this ignores that St. John deals with the transfigured (but now resurrected) Christ in Revelation. As if his purpose in writing was to show the Transfiguration in eschatological terms rather than mere historical terms. To my mind, this magnifies rather than reduces the value of the Transfiguration account. It reveals -- from the pen of one who was there -- its ultimate purpose and its real lesson for us. Orthodox Christianity, lived out, ultimately comes down to the Sacramental life. And the Sacramental life ultimately comes back to the Incarnation. The beauty of the Transfiguration is not merely what happened on Mount Tabor, but rather what it means for us. What it gives to us. It is not merely that Christ is the Son of God, or that He was glorified once on a mountaintop. It is that He is "He Who lives, and was dead, and behold [is] alive forevermore." That He "holds the keys of Hades and of Death." And this good news is summed up in Christ's words to St. John -- "do not be afraid." The beauty of the Transfiguration is that Christ has defeated Death and Hades, that we may have hope of eternal life. That we might become by Grace what He is by nature. St. John did not write about this in His Gospel directly. But he did write about it in a different setting. And I would argue, to greater effect.